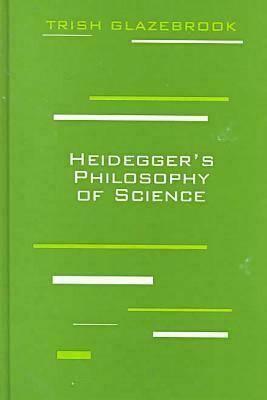 This book concerns itself with an issue that is not sufficiently addressed in the literature: Heidegger's philosophy of science. Although a great deal of attention is paid to Heidegger's later critique of technology, no one has systematically studied how he understood "science." Many readers will be surprised to learn, through this book, that Heidegger developed the essentials of a fairly sophisticated philosophy of science, one that in many ways invites comparison with that of Thomas Kuhn. 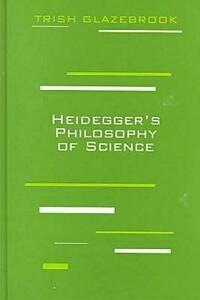 Glazebrook demonstrates that Heidegger's philosophy of science is not neatly divided into "early" and "late" (or "Heidegger I" and "Heidegger II") but is, rather, an ongoing development over at least three periods, bound together as an analysis of modern science and an uncovering of other possibilities for understanding nature. Glazebrook states in her introduction, "This reading of Heidegger is radical. It cuts to the root of his thinking, for I argue that what are taken to be Heidegger's many and significant contributions to philosophy-that is, his overcoming of metaphysics, his rereading of the ancients, his critique of technology and representational thinking, his vision and revision of language, truth, and thinking-have at their core an inquiry into science that drove his thinking for sixty years. I am not arguing for a new reading of a few texts, or for adjustments and refinements of existing readings of Heideggger. Rather, I am bringing to light a new basis on which to interpret his work as a whole."